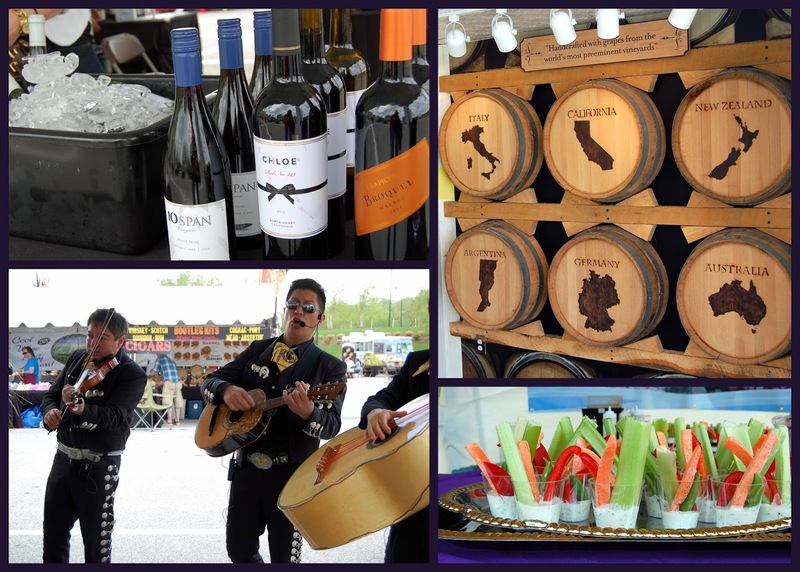 Sunny skies, a breeze off the water, and the chance to sip over 150 wines, beers and spirits were all perfect reasons to come out to this year's Wine and Food Festival at the National Harbor. After a long winter, it was great event to relax and enjoy the weather with some tasty treats. The Wine and Food Festival brought together world-renowned chefs, artisanal craftsman, and wine makers to offer fun and delicious delights. The event featured wines from across the world including Cupcake Winery, a craft beer bier garten including local brews from Starr Hill, food trucks, and music. Across the National Harbor, you could find something for everyone, including chocolate bark, scotch and bourbon tastings, and psychic readings. The event also showcased a cooking stage highlighting cooking demonstrations throughout the day from local celebrity chefs like Chef Bryan Voltaggio. It was a great afternoon strolling and sipping around the National Harbor, sampling great wine and food. My favorite take home from the event was this delicious Cabernet Sauvignon from Cannonball (admittedly, the name and the picture drew me in).